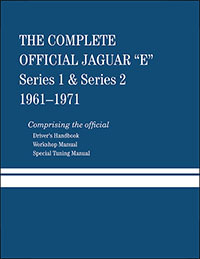 The Complete Official Jaguar "E": 1961 - 1971 compiles the original Jaguar service manuals (repair manuals) for the Series 1 and Series 2 E-Type into one handy volume. It also includes a reprint of the original owner's manual as well as a section on modifying an E-Type for what would now be considered vintage racing. It is an essential reference guide to repairing and maintaining a Jaguar E-Type. This manual was prepared in close cooperation with British Leyland Motors in order to provide complete, authentic and up-to-date maintenance and repair information to Jaguar owners, dealership service departments, and other professional mechanics. The Driver's Handbook (Owner's Manual), which comprises the first part of this manual, is the handbook provided with every new Jaguar. The Workshop Manual (Repair Manual), which comprises the second - and largest - portion of this manual, is the official factory manual. This manual contains emission control information that applies specifically to Jaguars manufactured for the US market, and a complete, illustrated catalog of special tools. The Publisher has incorporated additional factory procedures and specifications that have become available following the publication of the original factory information. This manual is therefore the most up-to-date, accurate, and comprehensive service information available for the Jaguar. 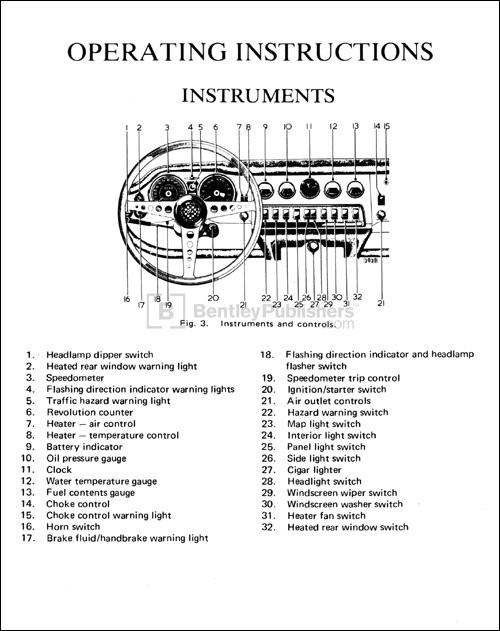 Though professional mechanics will find this manual indispensable as a source of specifications, testing procedures, and precision fitting data, this manual is also suitable for persons of limited mechanical experience, and for those trained mechanics who may not be altogether familiar with Jaguar cars. Professional mechanics usually carry out basic assembly and disassembly work guided mainly by their years of training and experience. For example, professional mechanics know without being told that engine, transmission, and rear axle parts must be properly pre-lubricated when they are reassembled following an overhaul. 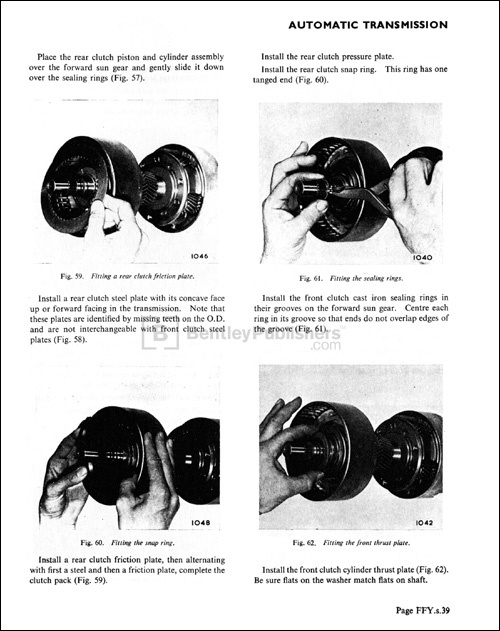 Therefore, such information is not commonly included in factory workshop manuals. On the other hand, non-professionals often need to be reminded of such things since mechanical work may not be a part of their daily routine. The publisher has included Notes, Warnings and Cautions to alert the non-professional mechanic to those additional considerations that a professional mechanic would take into account as a matter of course. This manual includes coverage of Jaguar "E" 6-cylinder Series 1 and Series 2 models sold throughout the world.